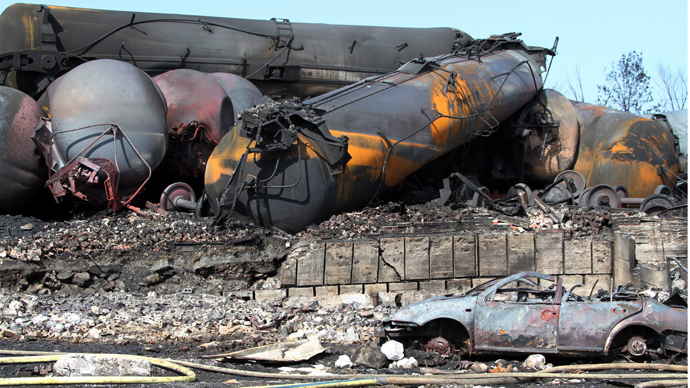 Thirteen cars of a tanker train carrying crude oil and liquefied petroleum gas derailed in Alberta, Canada causing an explosion and fire. The incident prompted an evacuation of the area, said Canadian National Railway. 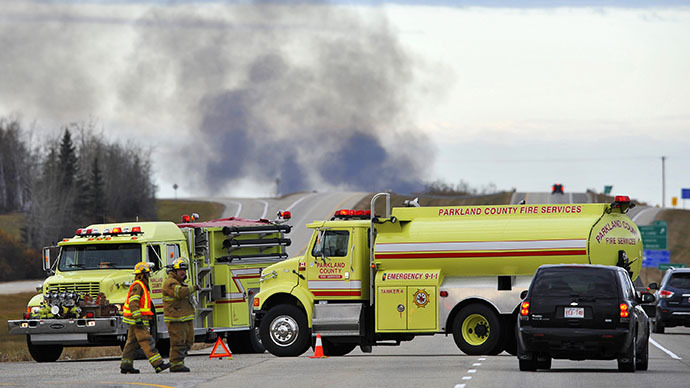 One rail car carrying liquefied petroleum gas exploded and three others caught fire about 80 kilometers west of Edmonton in Alberta,Canada – the country’s fourth-most populous province located in the west. 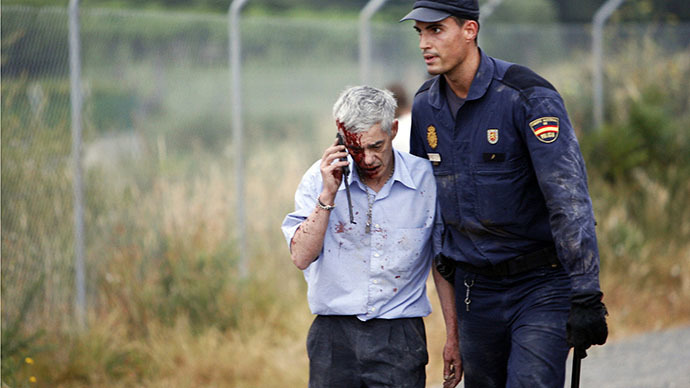 The accident took place around 1am local time. "We have cars on fire right now and there was an explosion earlier this morning. The major priority right now for our guys out in the field is containing these fires," said Parkland County spokesman Carson Mills. He added that nine cars were carrying liquefied petroleum gas and four others were transporting crude. Canadian National Railway spokesman Louis-Antoine Paquin told The Canadian Press that three cars containing gas are still leaking. Alberta officials have declared a state of emergency, setting in place a voluntary evacuation for local residents of Gainford, Alberta. There were no injuries reported. Forty-nine people have registered at the emergency evacuation center and will not be allowed to return home until Sunday, Mills said. A part of Highway 16 has been closed due to the fire, CTV News reported, adding that traffic is expected to be rerouted for the next 48 hours. “There’s a major risk for the area, so we are rerouting traffic, keeping people far, far from that area,” Mills said. 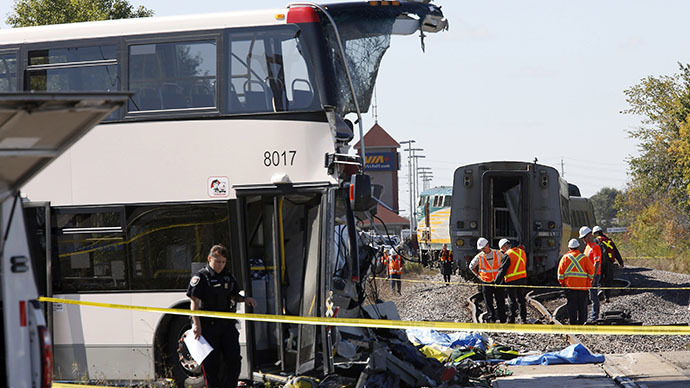 Canada's Transportation Safety Board said it has sent a team of investigators to the site. This is the third incident of CN train cars carrying hazardous materials to derail in recent weeks. On Thursday, a similar accident occurred in Sexsmith - a Northwestern town of Alberta province. 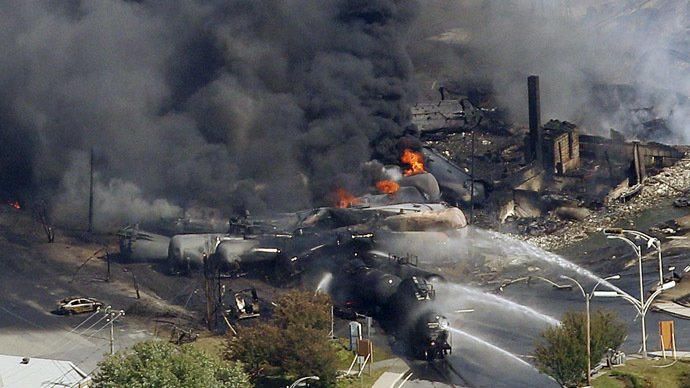 On September 25, a freight train derailed near the town of Landis, in the western province of Saskatchewan, sending 17 cars off the track - one of which leaked lube oil. On Thursday, Canadian officials imposed new regulations to conduct tests on crude oil before transporting or importing it into Canada. This was prompted by a deadly accident in Lac-Megantic, Quebec in July when a runaway train carrying crude oil exploded in the center of the town, killing 47 local residents. An investigation determined that the oil was more explosive than labeled.